Arsenal midfielder Matteo Guendouzi has revealed he has always wanted to play for Arsenal after watching Thierry Henry and Patrick Vieira when he was younger. ​​​​​​​Matteo Guendouzi says he is realising his dreams playing at Arsenal, and is confident his side can beat Premier League leaders Liverpool on Saturday. Guendouzi, 19, has been a revelation for Arsenal this season after signing from Ligue 2 side Lorient in the summer. He has started 11 of Arsenal's 19 Premier League matches and has impressed with how quickly he has settled into the team. Asked how much he knew about Arsenal before he joined, he told Sky Sports: "I have always wanted to play here. This club was in my heart when I was in France, it was one of my favourite clubs. "I watched Arsenal a lot because they had a lot of French players. I was too young when [Thierry] Henry and [Patrick] Vieira were playing so I was catching up on videos. They were always an inspiration to me. "It's a club I have loved since I was a kid and I have always wanted to come here and achieve great things with Arsenal and realise my dreams. I want to do that now I am here, I want to win trophies; that is the most important thing for me." Assessing his first six months at the club, he added: "Although it doesn't feel like I had time to adapt, I did. The key was when we went on pre-season to Singapore we played friendly matches and I was able to show my qualities to the staff and my team-mates, that time was really precious because when we came back here it was much easier to adapt to the team and the staff. "Everybody has helped me to integrate and be part of the club and for me to play without pressure, which I love to do. Because I started and played well from the beginning that helped me and my confidence for the games that followed." 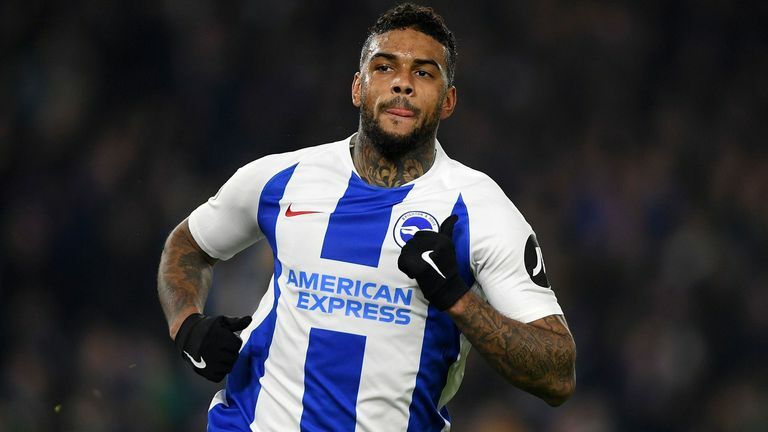 Arsenal finished the first half of the season with a 1-1 draw at Brighton on Boxing Day. They are fifth in the table, two points outside the top four, ahead of a trip to leaders Liverpool on Saturday. "Liverpool are very solid defensively but I have so much confidence in my team-mates and the staff that I know we can win," said Guendouzi. "We have the weapons to win. It will be tough, but every game is tough, there's three points on the table and I really believe we can get them. I am really confident that we can go there and get a win. "It's been a very good first half of the season. We went on that long unbeaten run where we played really well and finished top of our Europa League group and we are still very close to the teams above us. "We feel it has been a satisfying first half of the season but we know the second half will be even more important and we are positive about it and what we can achieve." Pierre-Emerick Aubameyang scored in Arsenal's draw at Brighton, taking his tally to 13 for the season in the Premier League and reclaiming the top-scorer spot, and Guendouzi says Aubameyang is "perfect" to play alongside. "He's helping us a lot because he scores so much," he added. "For me he is the best striker in the Premier League this season and if he keeps scoring as much in the second half of the season, I know we will finish really high in the table. "As a midfielder it's a pleasure to play with someone like him, it's easy because he has so many qualities. He can run behind, he's in the box in front of goal but he can also link up play and play with his back to his goal. For a midfielder this is perfect because he offers so many solutions."